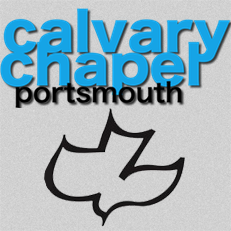 Calvary Chapel Portsmouth Weekly Prayer Meeting TODAY HOME REGULAR MEETINGS BLOGS TEACHING & AUDIO LINKS ABOUT SHOP DONATE Home > Sermons > Psalm 119 57-64 PSALM 119 57-64 October 2, 2016 Barry Forder Psalms 45:34 This teaching by Pastor Barry was recorded at our family service on Sunday 2nd October 2016. This is the 8th session in our verse-by-verse study of Psalm 119. The first four verses of this Psalm outline God’s perfect standard for any who would truly follow Him, with a whole heart. The next four verses recall the hope we have that one day we will be conformed, transformed and renewed outwardly as well as inwardly. We will awake in the likeness of Christ (Psalm 17:15), and all the troubles, trials and temptations of this life will be past (1 Cor 15:53). But until that time we are to “walk by faith, not by sight”(2 Cor 5:7). We are to “walk in the Spirit, and not gratify the desires of the sinful nature”(Gal 5:16). We are to “walk worthy of the calling wherein we are called” (Eph 4:1). But how? How are we to do this when we are continually wrestling against the world, the flesh and the devil? The remainder of this Psalm is your guidebook to walking a life of victory! That may sound quite a claim, but this Psalm is the voice of experience. It has walked this path before and has been given to us by the Holy Spirit to be a companion on our journey, an instructor with Godly counsel.